CHRISTINE "BIG FISH" JEFFREY is a former All American swimmer at ASU. 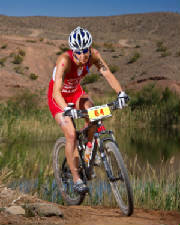 She specializes in off road triathlons, mainly Xterra Triathlon race series and non drafting Olympic distance events. She is arguably one of the fastest swimmers in the history of Xterra Triathlon, regularly beating the elite men and rest of the field out of water. She is also a very experienced off road endurance cyclist regularly placing in top 10 in events like Leadville 100. Steve Walker Jr. Son, husband, father, Marine, blind. Steve has an amazing journey in life, which includes a happy and active childhood, some bad news during his late teens about his medical condition which would eventually leave him blind, then marrying his high school friend, becoming a father and turning into an amazing endurance athlete and most recently finishing Ironman World Championship in Kona in 2015. Many other amazing adventures to come from Steve and his supporters in the upcoming years. Jennifer Spieldenner: Multiple olympic distance and 70.3 distance champion triathlete. 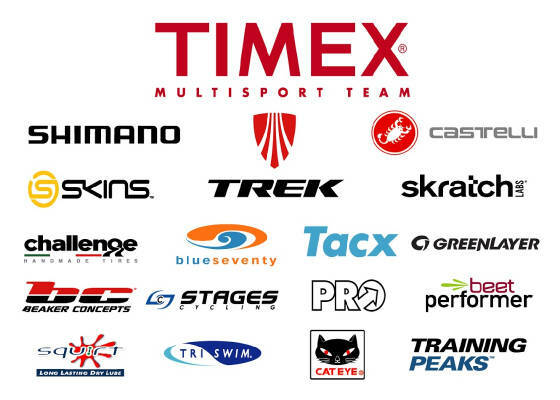 Jennifer has been a member of "The Triathlon Squad", one of the most successful professional and age group training/coaching squads in the US, since the very early days of her professional triathlon career. She was top six in 2014 in HyVee Championship and winner of Challenge Rancho Cordova, a half iron distance event. 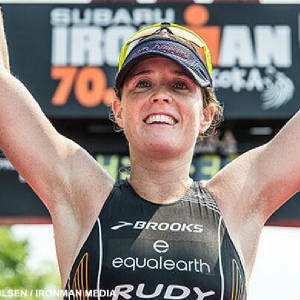 Also she just won 70.3 Muskoka in July of 2015 and she is looking forward to a more successful 2016 season.